I read a great piece in Money Magazine a while back. It’s more about mindset than the market, but I found it to be highly relevant to what we’re doing in REI, so I wanted to pass along their analysis. The author stated that he gleaned his information from his 5-year study on the habits of 233 self-made millionaires. The secret to success is daily habits. He says that he’s identified more than 300 of what he calls “Rich Habits,” and he wrote about 5 of them in the piece. 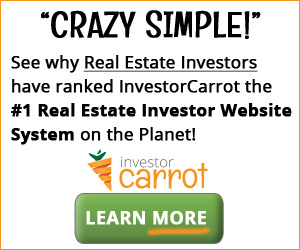 At first I was surprised how much they aligned with real estate investing. But then as I thought more about it, I realized that it’s about focus and habits, and that those are transferrable to anything we do. So here’s his top five “Rich Habits.” Some of them are no brainers, and #3 is huge, but the point is to make this worthwhile to your business, why not take a critical look at what you’re doing to see if it aligns with what the 233 self-made millionaires are doing? I’ll bet you’ll find, like I did, that there’s a lot of room for improvement. Self-made millionaires do not rely on only a single source of income. They develop multiple streams. Three seemed to be the magic number in my study. Sixty-five percent had three or more streams of income that they created over time. Diversifying your sources of income allows you to weather the economic downturns that always occur in life. These downturns are not as severe to the rich as they are to the poor. The poor put “one pole in one pond” and when their single income stream is negatively impacted in some way, they suffer financially. Conversely, the rich have “several poles in several ponds” and are able to draw income from other sources when one source is temporarily impaired. I’ll bet you thought that old Obi Wan was talking about Mos Eisley, right? Well, he wasn’t. It’s a little known fact that when he said that, he was actually referring to real estate investing in the City of Detroit. You wouldn’t think so if you’ve been here. Not only have I been to Detroit, I live here. Believe me, when I say that the parts of Detroit that I’ll actually venture into make the Mos Eisley Cantina look like a day care center. This is me being completely serious. As a heart attack. Stay away – for your own physical safety and financial well-being. Trust me on this. There are areas on the East Side that the cops won’t even go in to. I bring this up because of the brain donors at CNNMoney.com. Once again, one of their ilk stumbled upon a mere speck of information and then wildly extrapolated that microscopic speck into what they consider actionable intelligence. But in fact, it ended up neither actionable nor intelligent. But because they’re CNN, they didn’t notice. It was a phrase that we used in finance that basically cautioned you not to bet or trade against the trend in the markets. It was a REALLY old saying because the term “tape” referred to the ticker tape machine that the old timers used to have on their desks to get stock prices delivered to them before AOL, E-Trade, and iPhones. The crazy thing was, we rolled our eyes and used the term a ton back then because there always seemed to be some bonehead clown who swore that he had developed a “system” or “strategy” that would beat the market. The streets were littered with the carcasses of these guys, because the market chewed them up and spit them out without skipping a beat or even noticing them. I read a great post today about the impact high debt levels are having around the world. It’s from the Sovereign Man blog at sovereignman.com. I highly recommend that you subscribe. His perspective is unique and definitely thought provoking. I’m reposting it here with full attribution to the author, Simon Black…. Yesterday was a pretty big day. First (and perhaps most importantly) my post-Italy no carb detox came to an end. Hooray for that. Second, I signed the papers and closed on a new apartment here in Santiago. It’s a great time to be buying in Chile for anyone spending US dollars. The peso is weak, as is the economy. So asset prices are very cheap. Simultaneously, by any objective metric, the US dollar is enormously overvalued. So I ‘sold’ what was overvalued and bought what was undervalued. It was a great deal– it’s a spacious penthouse flat encompassing an entire floor in the nicest part of town, all for less than what a down payment would cost me in the US or Europe. Hell, given the million-dollar price tag for some parking spots in New York City now, you could have several of my apartments for that much. Wow. It’s rare when I find a truly great cigar for under $10 a stick. And it’s like finding a unicorn when I find one under six bucks. But I found one. The Rocky Patel Nicaraguan Torpedo. My dealer, Famous Smoke Shop, sells them. They go for – get this $5.20 a stick individually, and you can get a pack of 5 for $21.95 as of this writing. And they’re awesome. The first thing I noticed when I opened the pack was their construction. It was absolutely beautiful. Perfectly rolled, firm to the feel, and a gorgeous wrapper. I had to check the label to make sure they were the right cigars. They’re listed as a natural wrapper, but they were so dark they looked like maduros. In this era of mass produced “premium” cigars I often find that the smoking end of torpedoes are wrapped sloppily, and that makes clipping them a challenge so they don’t unroll. Not these. Each one in the five pack was wrapped perfectly with no extra wrapper bunched up and no gaps in the wrapping. Clipping them was a breeze. I don’t normally start my cigar reviews talking about my wife, but she’s relevant to the story so stay with me. Truth be told, my cigar habits are pretty boring. Having enjoyed them now for going on 25 years, I know what I like and I tend to stick to it for my “daily driver” cigar, my “yard work” cigar, and when I occasionally go upscale. Old habits die hard I guess. That’s where my wife comes in. She buys me cigars for pretty much every occasion throughout the year that requires some sort of greeting card. And I don’t think in all these years of her doing that she’s bought me the same one twice. So that way I get to sample a bunch of different cigars every year. I asked her once several years ago how she selects them, because the ones she comes home with are always were unique looking in one way or another. When I asked her about her selection “process”, she said she always picks the ones that are the most interesting in the way they look or the way they’re packaged. I thought that was intriguing, because I had never cared about that until she mentioned it. But since then I’ve started to notice. Which brings me to my review of the Arturo Fuente Chateau Fuente Sun Grown Queen B torpedo. It is flat out a beautiful cigar that is in turn beautifully packaged. From the classic red and gold Arturo Fuente Casa Reserva label to the cedar wrap to the band of red ribbon at the bottom. It’s definitely a cigar that my wife would pick. And when I got them I was hoping that they would smoke as good as they looked. And I was not disapponted.